Download our guide and reap rewards of success! Getting across to your prospects in loud, saturated and rapidly evolving markets is getting tougher. 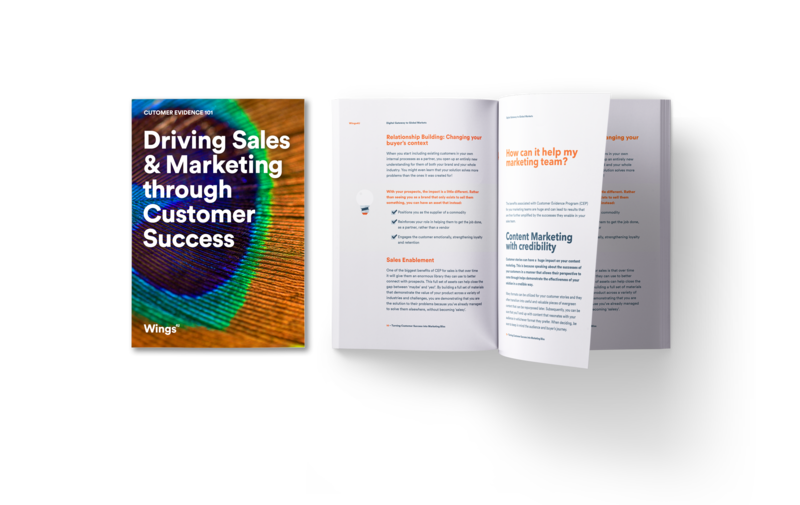 So, it’s understandable that your sales & marketing teams might be feeling overwhelmed. But given that 70-90%* of the buyer’s journey takes place interacting with online content before speaking to a sales person - we’re here to help transform your happy customers into sales & marketing bliss! Why Customer Evidence Programs bring better and more sustainable impact than other marketing and lead generation approaches – with insight and stats to prove! All of this, plus a special bonus: we’ve designed a practical checklist 8 must-have elements for setting up a Customer Evidence Program to get you started smoothly! With over 8 years of experience in Enterprise and Product Marketing, Melis possesses a unique and thorough understanding of what it takes to build a truly effective Sales & Marketing strategy and the tactics necessary to execute it. She joined the W4U team following 7 years at Microsoft, which has given her the practical know-how of both enterprise requirements and agency capabilities. At Wings4U Melis supports and manages customer relationships, empowering and helping clients make the right decisions with their customer evidence programs.